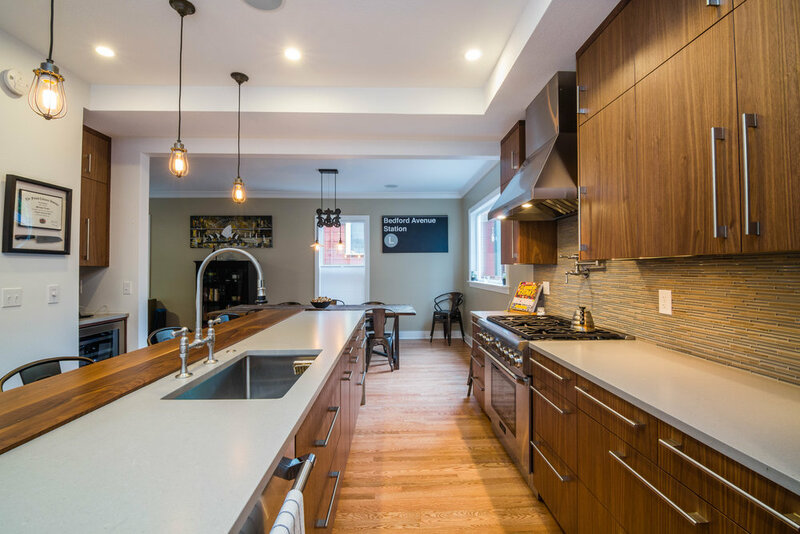 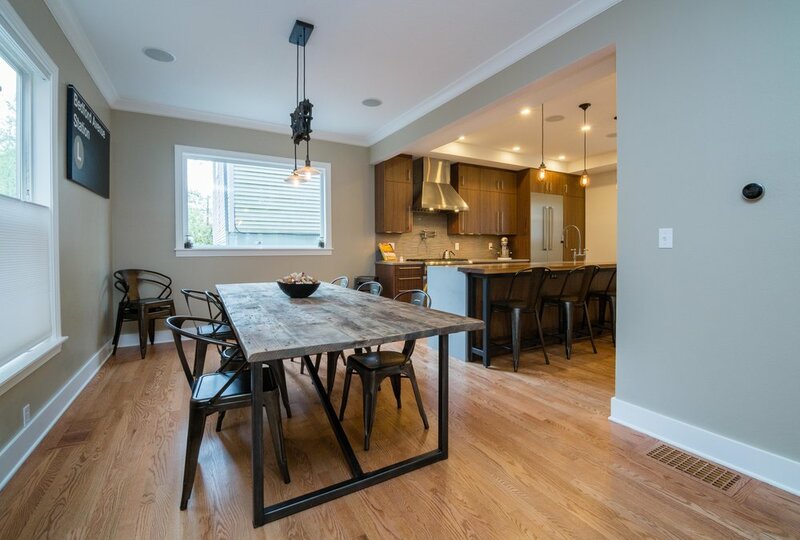 This kitchen remodel included removing a bearing wall to open the space to the dining area and living room. 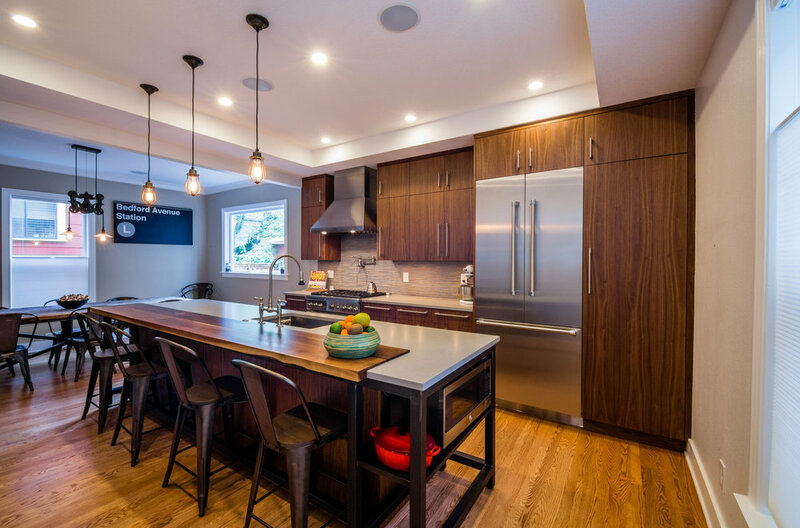 Cabinets are Walnut with quartz countertops. 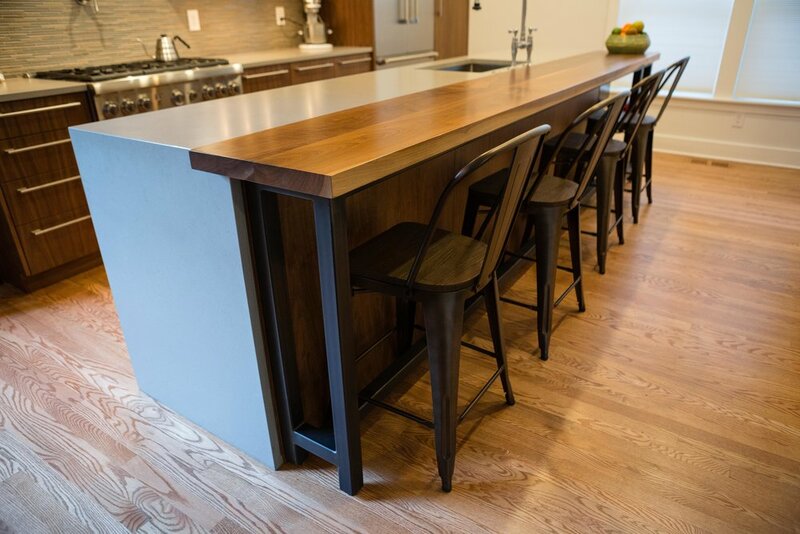 The island has a waterfall edge and inset solid walnut slab bar with a custom steel base.